The following is a history of "Squadrons Thirty-Three" as presented by the Squadrons Thirty-Three Association with some minor additions made by the author of the VAQ-33 web page. These additions are from the personal experience of the page author. In World War II, composite squadrons (mixed aircraft) were assigned to "baby flat-tops" (CVE's) to handle antisubmarine warfare and close are support of amphibious landings. Ons such squadron - VC-33 - was commissioned in January 1943 at NAS Alameda, California. This VC-33 flew F4F Wildcats and TBF Avengers in Pacific battles. After the war, the VC-33 was decommissioned (in November 1945). 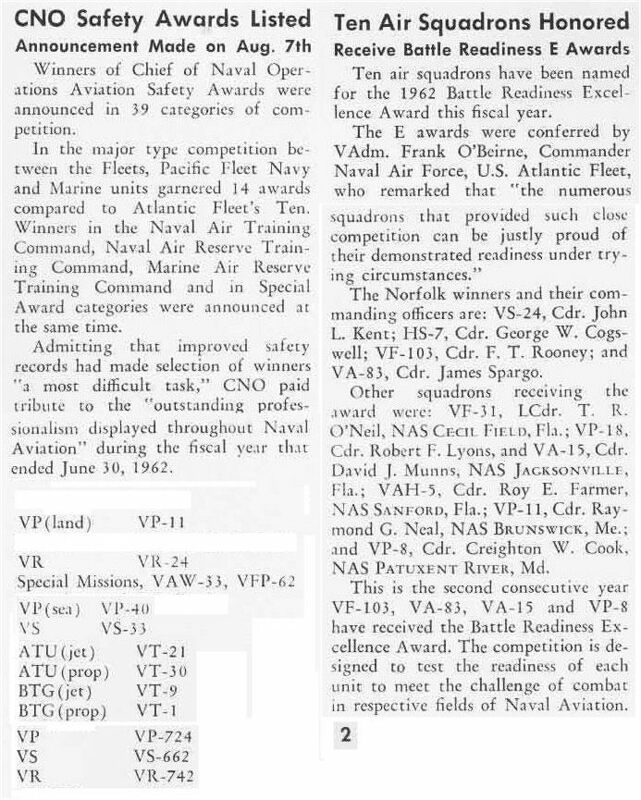 On 31 May 1949, a new "Composite Squadron Thirty-Three (VC-33)" was established at NAS Norfolk, Virginia. This VC-33's mission was "antisubmarine warfare." 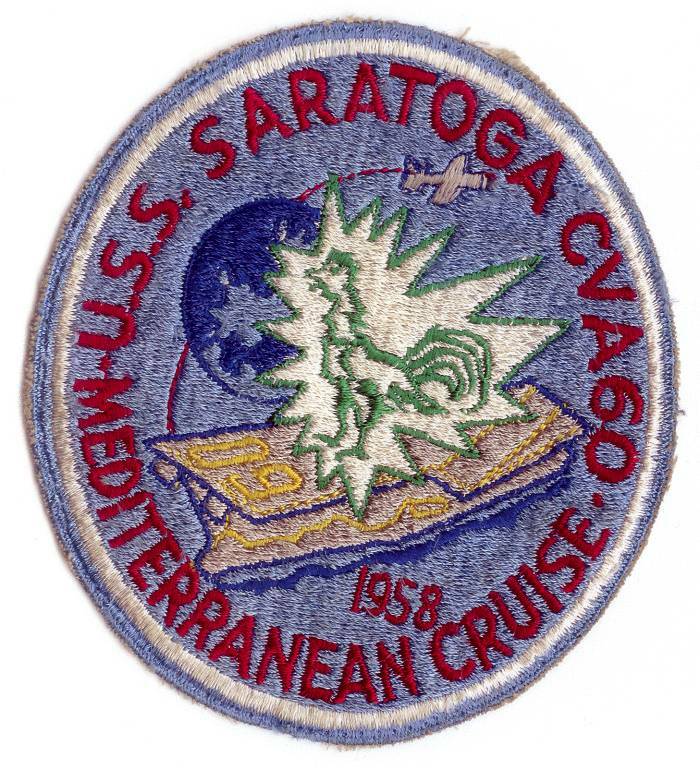 Its insignia was a "steel gauntlet crushing a submarine." Initially they flew TBM Avengers, but soon transitioned to the AD Skyraider. In June 1950, VC-33 was transferred to NAS Atlantic City, New Jersey, with a new mission - night attack. 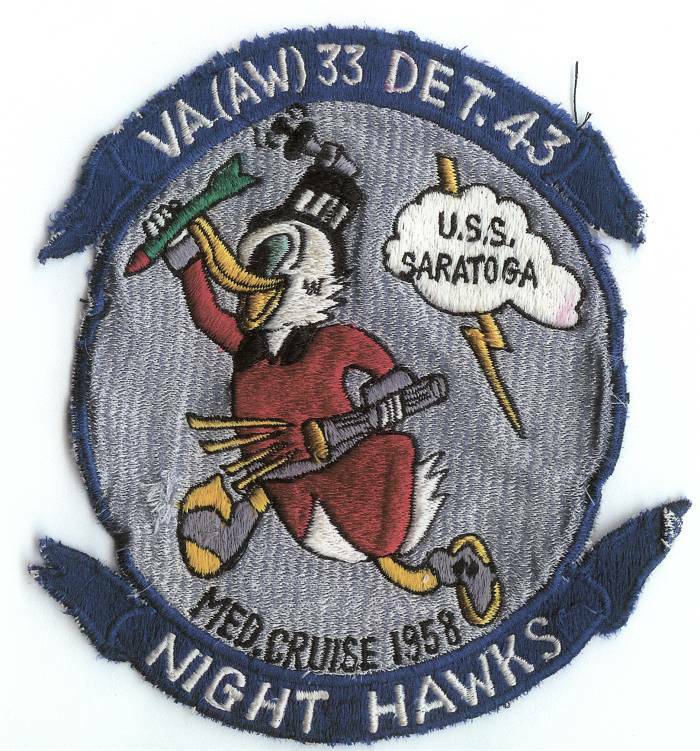 In October 1952, VC-33 adopted the nickname Knight Hawks and changed its insignia to a "shield, chess knight, and hawk." The squadron provided detachments to all carriers in the Atlantic Fleet and three separate detachments (aboard USS Leyte, USS Bon Homme Richard, and USS Lake Champlain) to combat in Korea. On 2 July 1956, VC-33 was redesignated "All-Weather Squadron Thirty-Three [VA(AW)-33]." They continued to fly later versions of the AD Skyraider. In April 1958, VA(AW)-33 was transferred to NAS Quonset Point, Rhode Island. On 30 June 1959, VA(AW)-33 was redesignated "Carrier Airborne Early Warning Squadron Thirty-Three (VAW-33)." 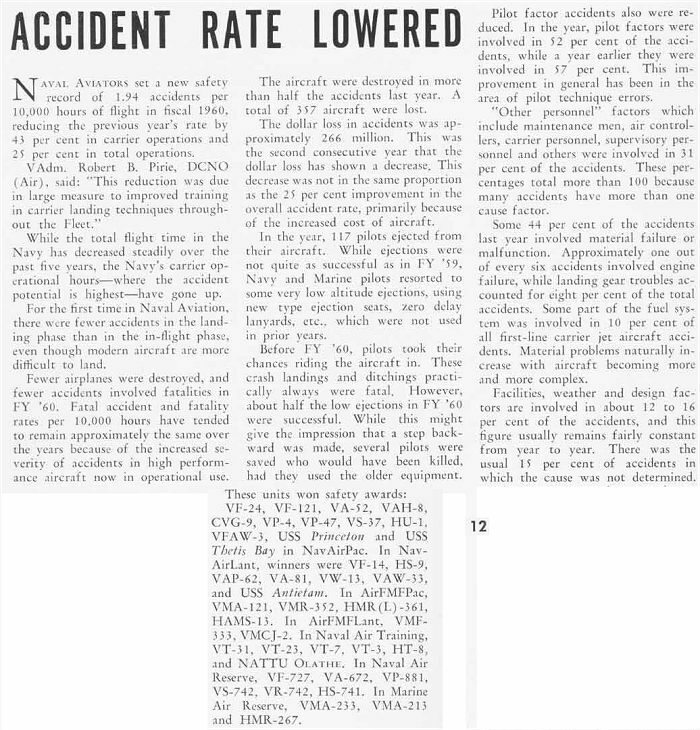 They flew versions of the AD Skyraider that were suited for their mission - airborne early earining for aircraft carriers. 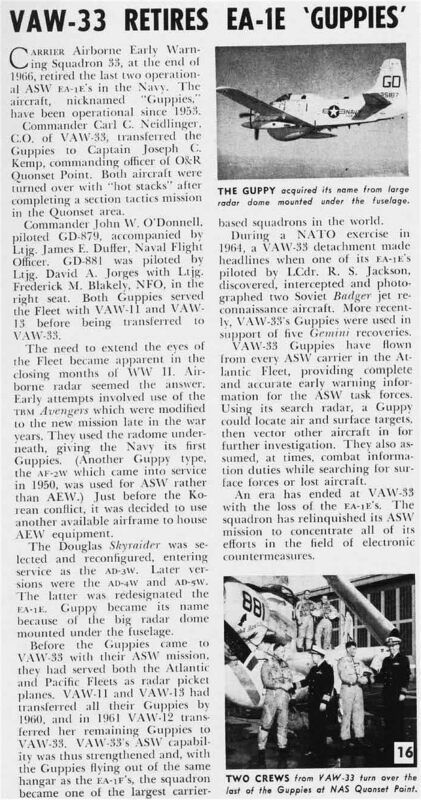 On 1 February 1968, VAW-33 was redesignated "Tactical Electronic Warfare Squadron Thirty-Three (VAQ-33)."